BERLIN, July 7, 2010 (AFP) - It won't come as much of a consolation to heartbroken German fans, but at least Paul, Germany's now world-famous "Octopus oracle", has maintained his perfect record. The "psychic" creature has correctly predicted all six of Germany's World Cup games and, amid excruciating drama broadcast live on national television on Tuesday, plumped for Spain, causing anguish up and down the country. And the eight-legged soccer soothsayer was spot on Wednesday, as Carles Puyol's semi-final header shattered Germany's dreams of winning their fourth World Cup. Two plastic boxes, one with a German flag and one with a Spanish, were lowered into Paul's tank at an aquarium in western Germany, each with a tasty morsel of food inside. The box which Paul opens first is adjudged to be his predicted winner. 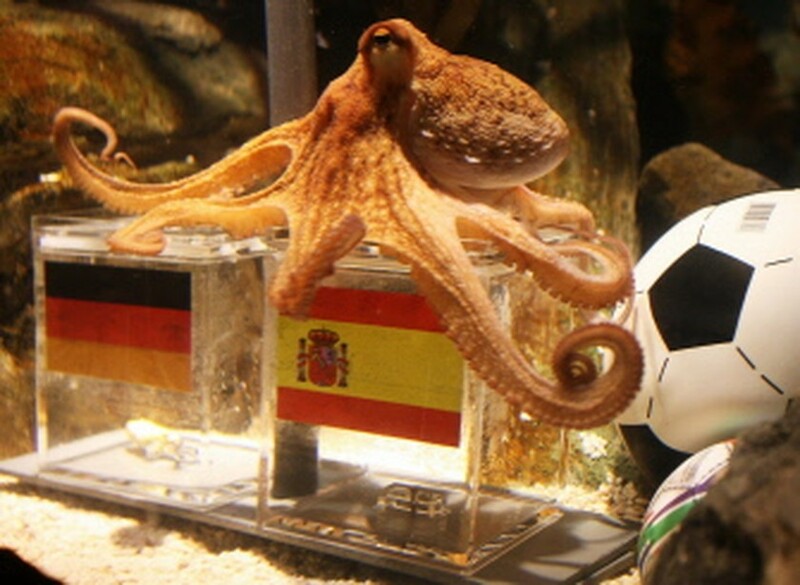 But with classic fickleness, German fans turned against their beloved octopus after he forecast a Spanish win. According to "Der Western" daily paper, there have been "a host of comments on Facebook, Twitter ... suggesting Paul should be fried, barbequed or turned into a seafood salad or paella." "Others wanted to throw him into the shark tank," the paper reported on its website. And on Berlin's "fan-mile", some sections of the crowd also turned against their former hero. Anti-octopus songs were sung.